The Silver Sussex is very similar in lloks to its pur ebred counterparts. It has a predominently black body and silver/white neck and chest feathering. The amount of light colour feathers varies from one individual to another. 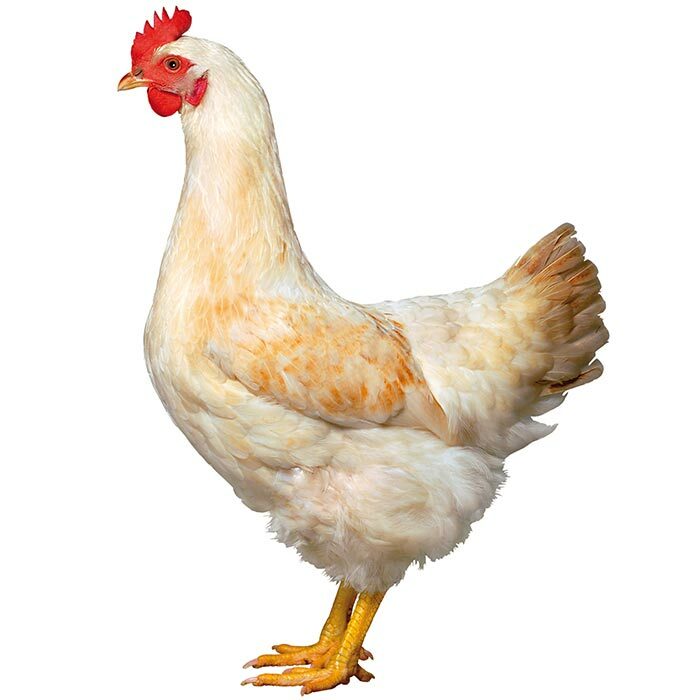 She will lay around 280 eggs per year, her eggs are more of a cream colour. 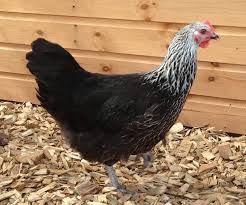 COLOUR: Black with varying amounts of white feathers around the head, neck and hackles. Some are almost totally black, others have a lot of white. EGG COLOUR: Light to mid brown. 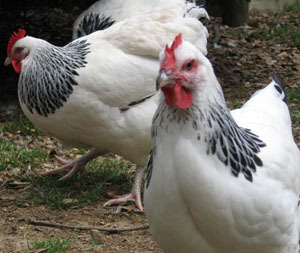 CHARACTER: Usually nice, friendly hens. RUN REQUIREMENTS: Free range of in a run. 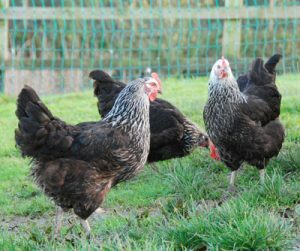 ALSO KNOWN AS: Pied Suffolk, Black Pearl, Reverse Sussex, Sussex Rock, Pied, Daisybelle. Be the first to review “Silver Sussex” Click here to cancel reply.